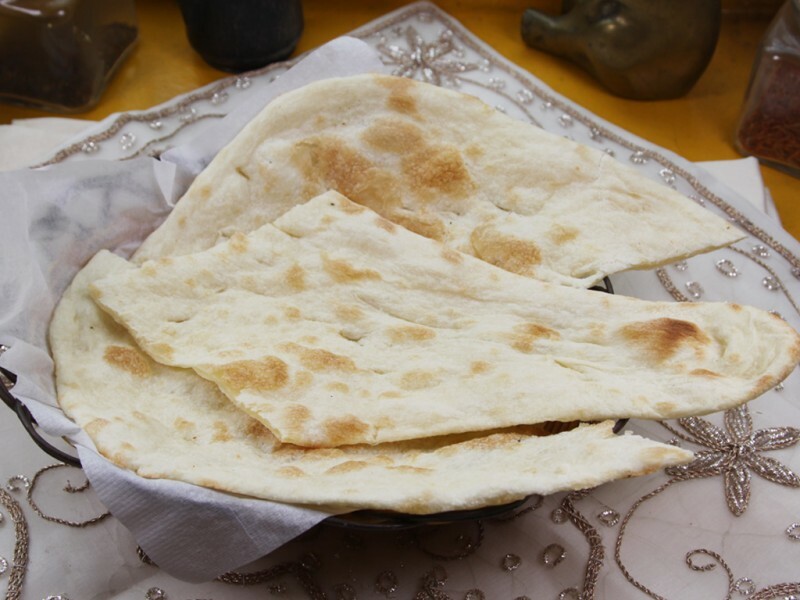 Named after the Taj Mahal, Taj Palace serves authentic Indian dishes prepared by an Indian chef that creates food with the awesomeness of its inspiration. 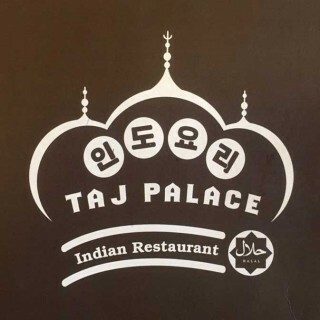 The Indian chef deftly introduces real Indian food to Korean people and anyone who loves eating. 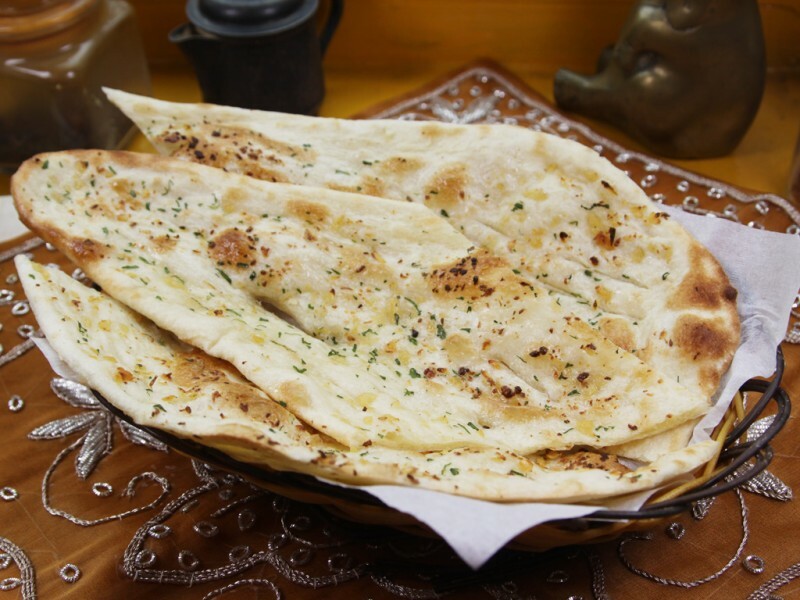 Some of the most popular dishes in the restaurant include tandoori (barbecue) dishes, Indian fried rice called "biryani," toasted flatbread, a wide array of curries, and the “set meal for both meat lovers and vegetarians." 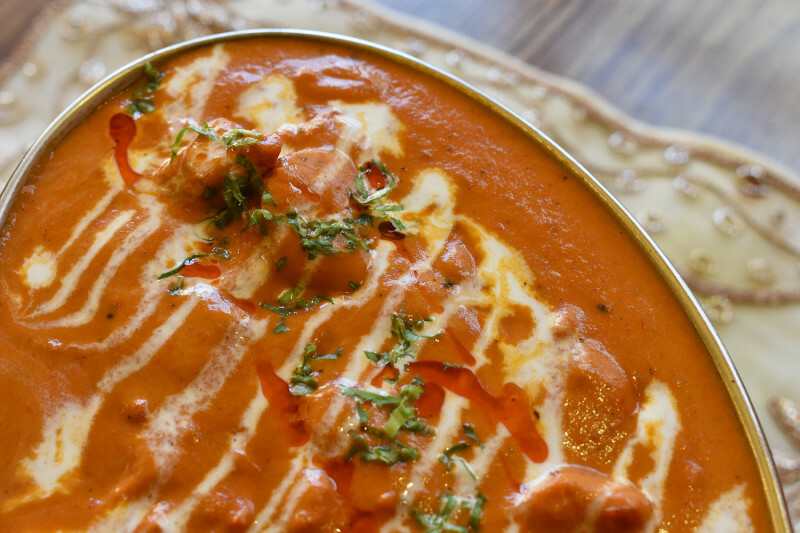 Boneless, succulent pieces of chicken breast marinated in yougurt, delicate spices and herbs then cooked to perfecftion in the tandoor. 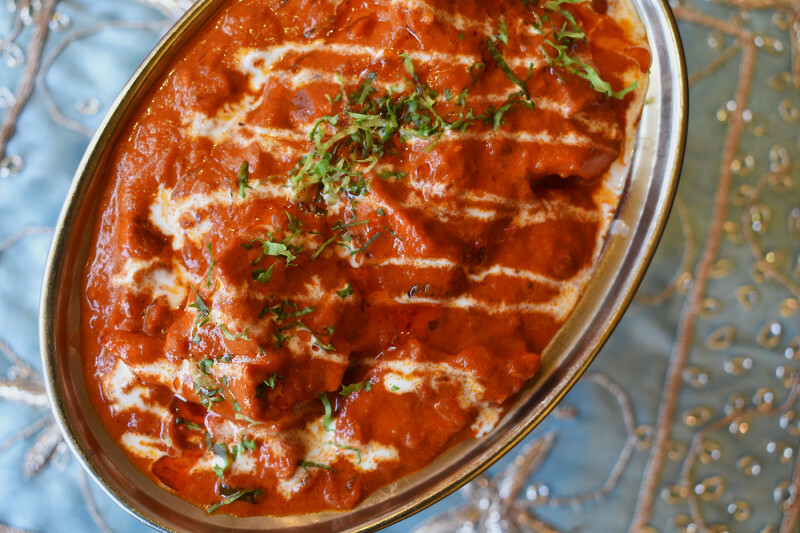 Boneless pieces of chicken breast marinated in cream cheese, delicate spices and herbs, then cooked to perfection in the tandoor. 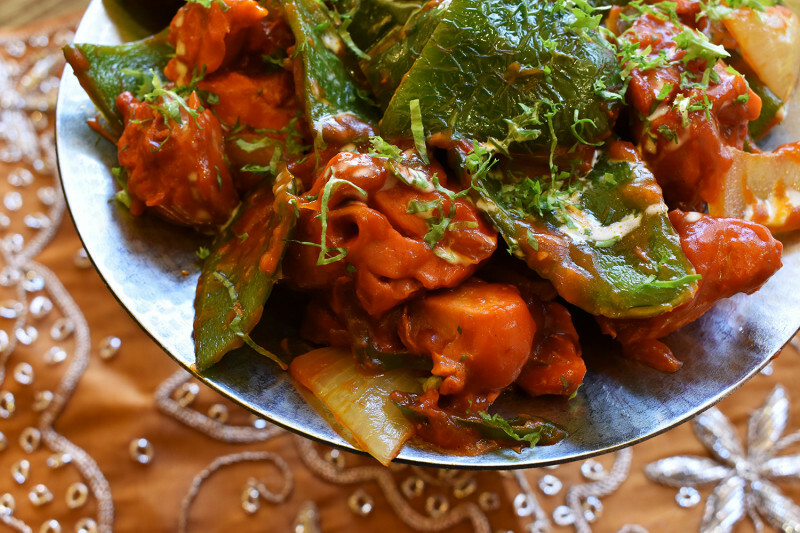 Garlic flavored chicken chunks cooked in tandoor to a mouth-melting finish. 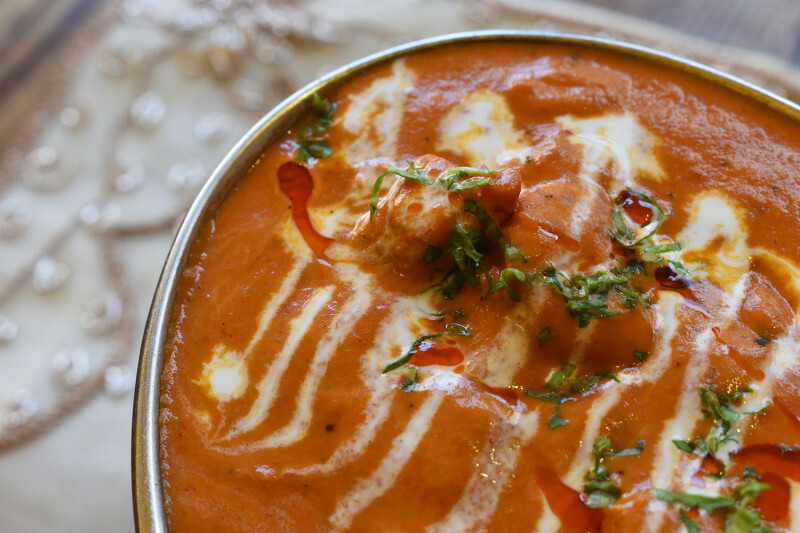 Chicken marinated in cream cheese, natural yogurt and black pepper roasted in the tandoor. 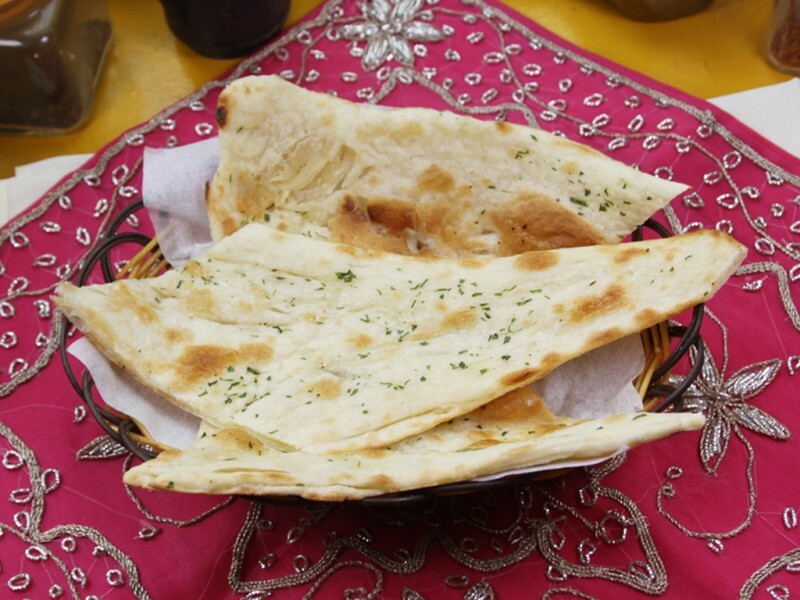 Tandoori lamb chops epitomize the very best of northwestern India’s opulent moghul cuisine. 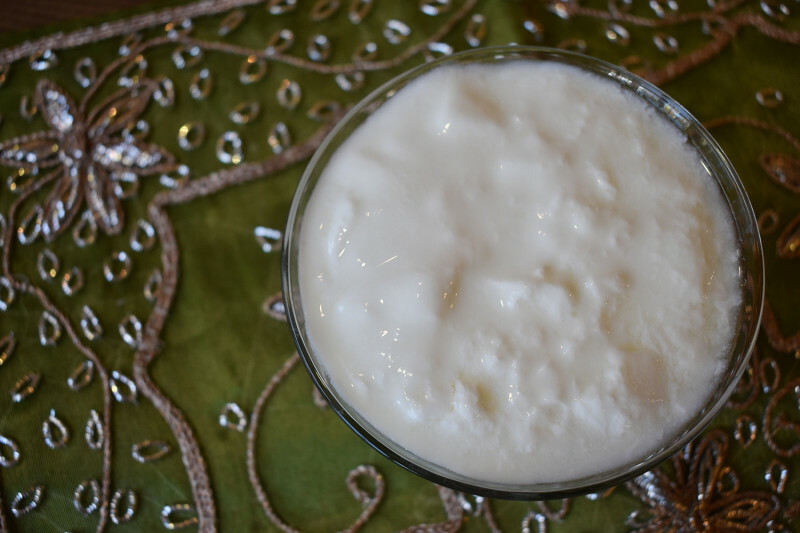 A spring chicken marinated over night in plain yogurt, chopped fenugreek leaves, spices and lemon juice. 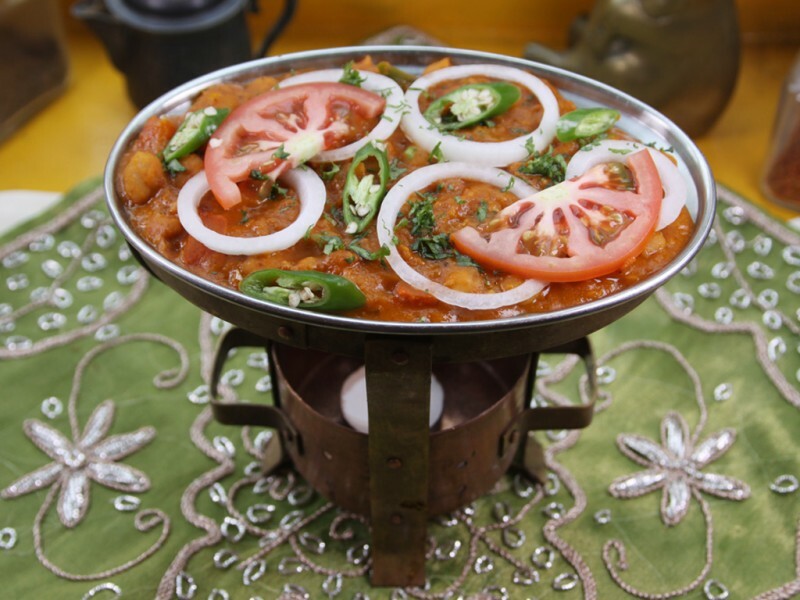 A north indian favorite of lamb roasted with onions, tomatoes, chunks of chopped garlic and ginger and fresh coriander leaves. 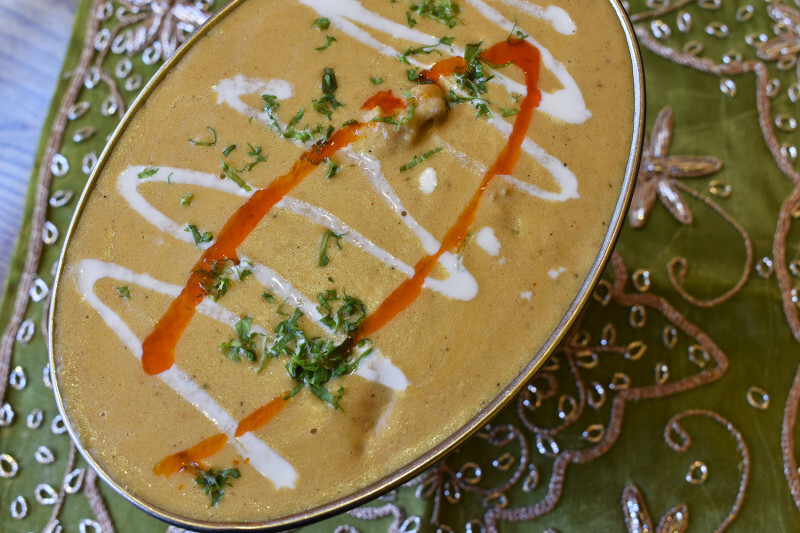 A traditional mild Hyderbadi dish of lamb chunks cooked in a cashew nut sauce flavored with mace, cardamom and fennel. 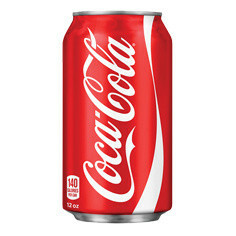 A delicacy of Goa, a famous vacation spot of India's western coast. 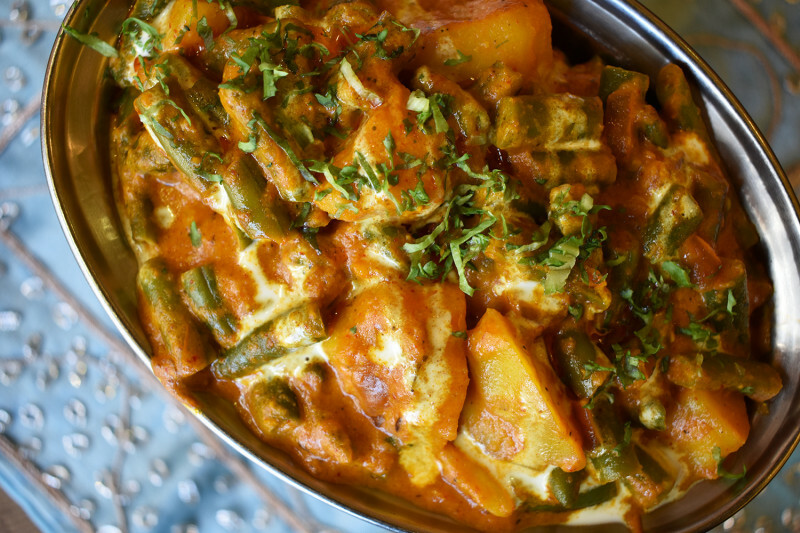 Spicy tangy tomato and curry sauce cooked with fresh herbs and cubed potatoes. 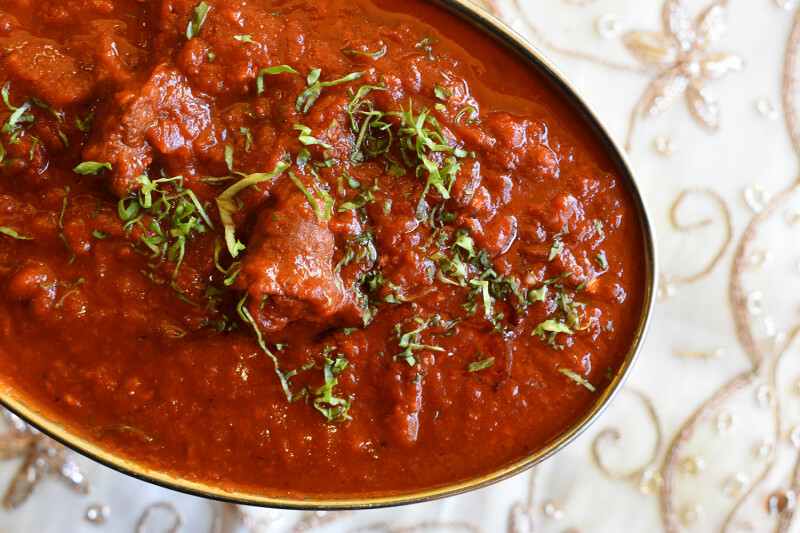 Kashmir style prepared lamb chunks boiled with onions, tomatoes and red chili sauce. 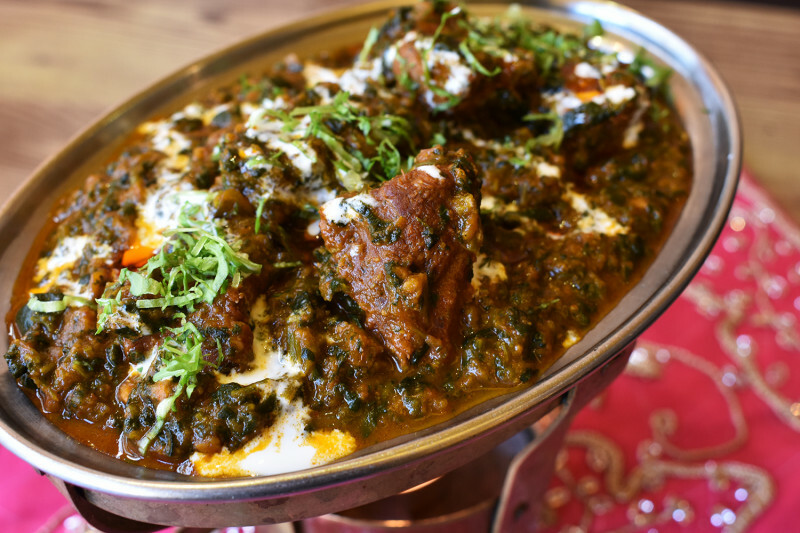 Punjabi style lamb slow roasted over open flame, served with creamed spinach. 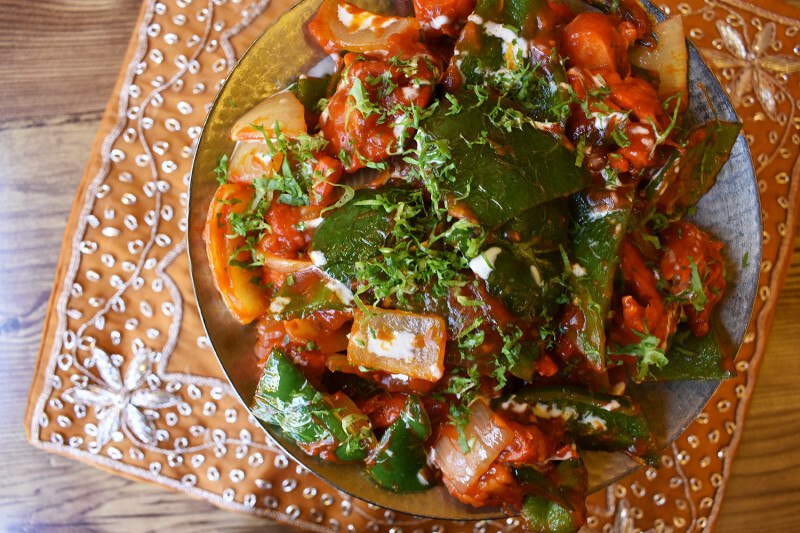 Lamb cooked with coriander seeds, whole red chillies, tomatoes and diced green peppers. 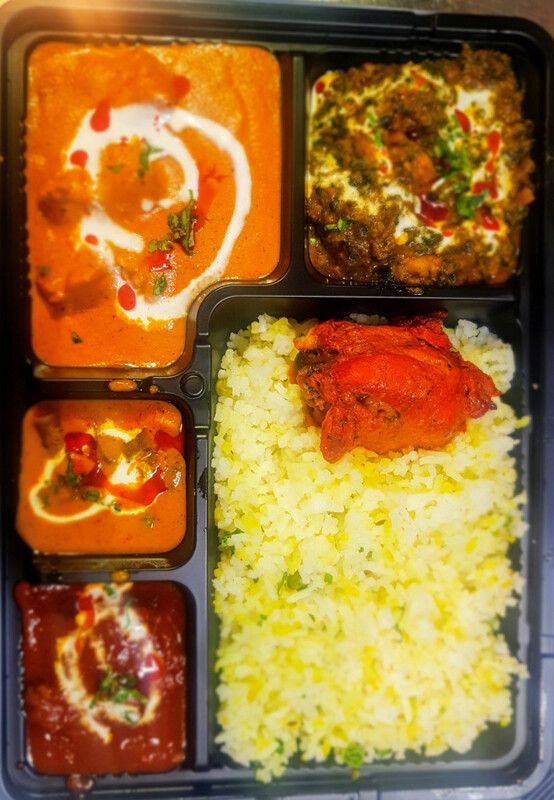 Small slices of lamb,deep fried and crispy with green peppers, served in a sauce of coconut milk, shredded coconut and garam masala. 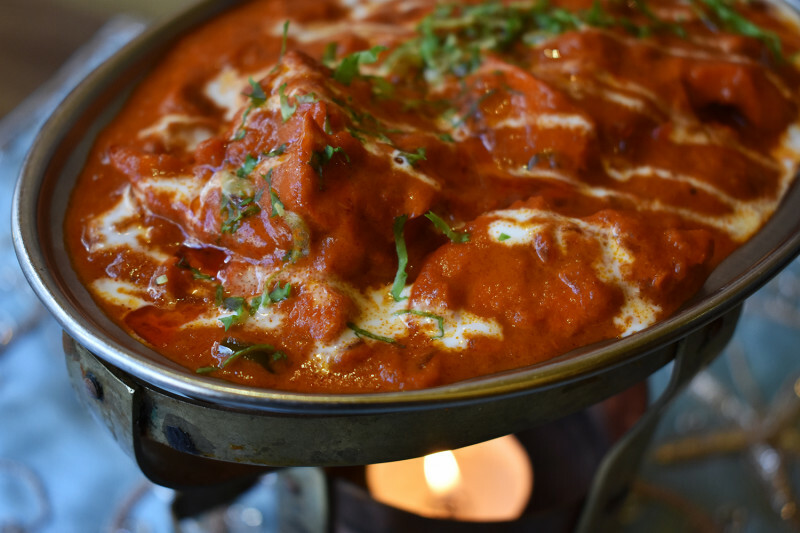 Lamb meatballs (Ground lamb) cooked in a spicy curry sauce. 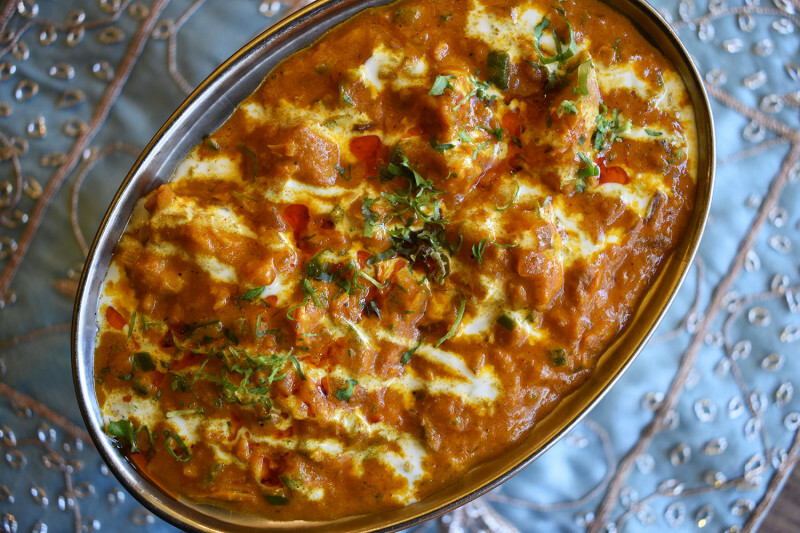 In this dish the chicken has been marinated in tomato-butter sauce overnight and cooked the next day. 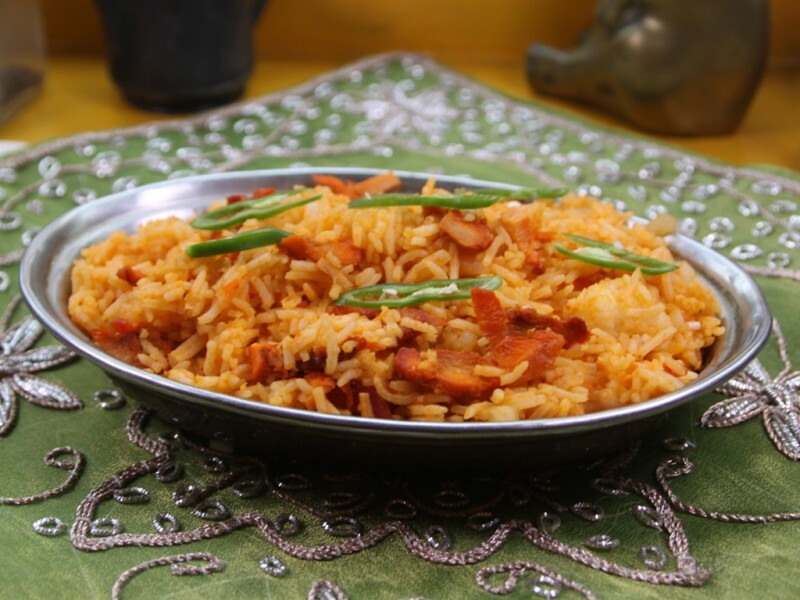 Chicken cooked with fried onions, tomatoes, ginger and garlic. 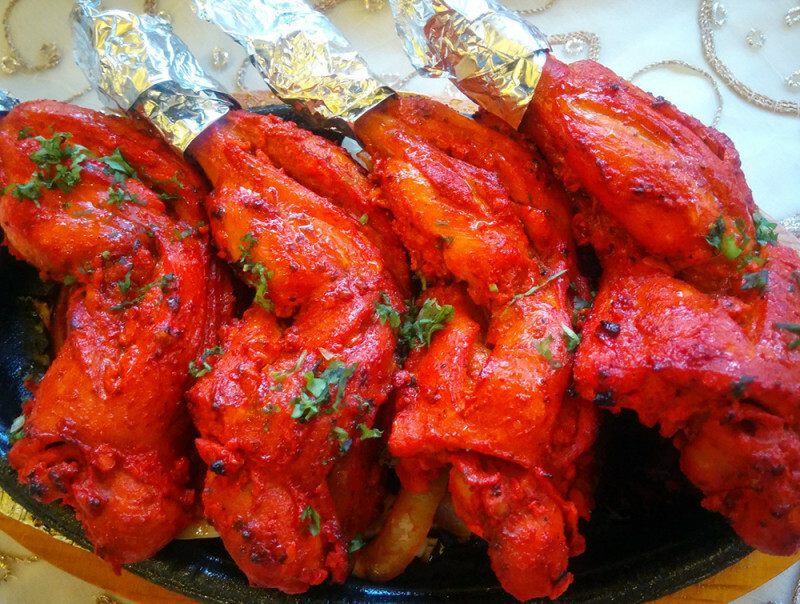 A Speciality of the city of Goa, on the west coast of india, this chicken is cooked in vinegar and chili oil with potatoes and red chili powder. 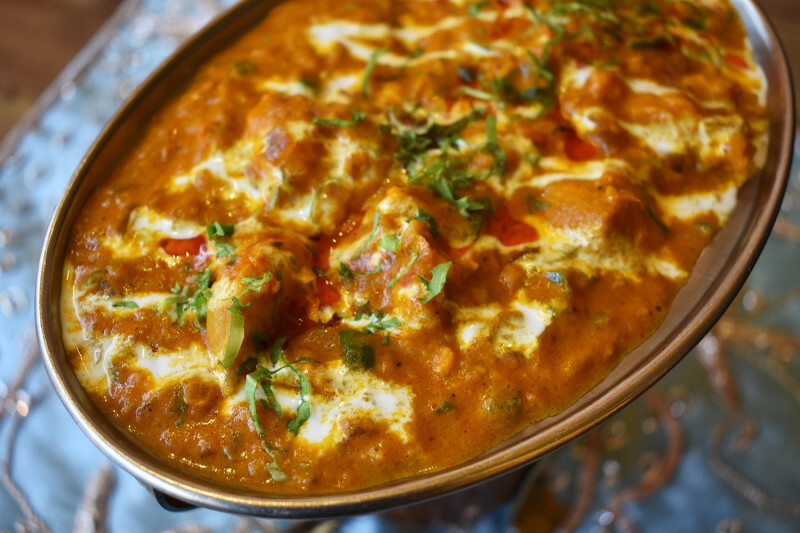 Chicken cooked in a cashew masala sauce with picked onions, garlic and cardamom. 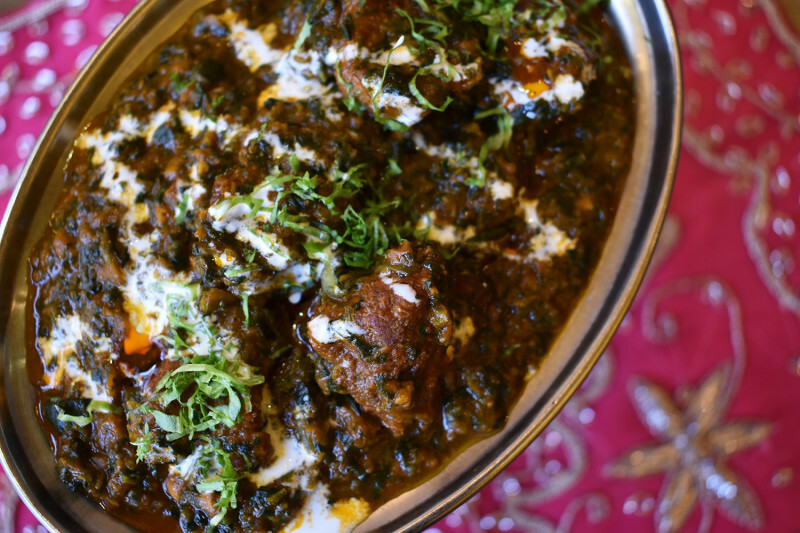 Chicken cooked in creamy spinach seasoned with garlic, whole red chilies and mustard seeds. 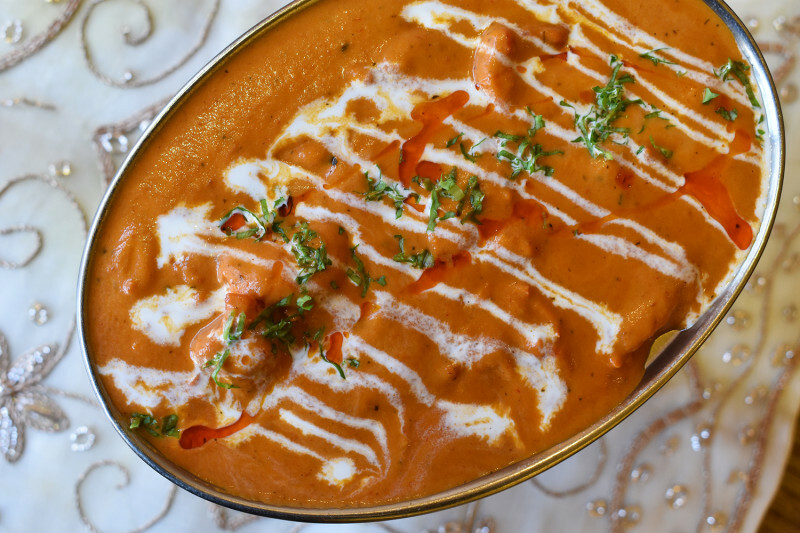 Chicken cooked in a white cashew nut gravy flavored with saffron. 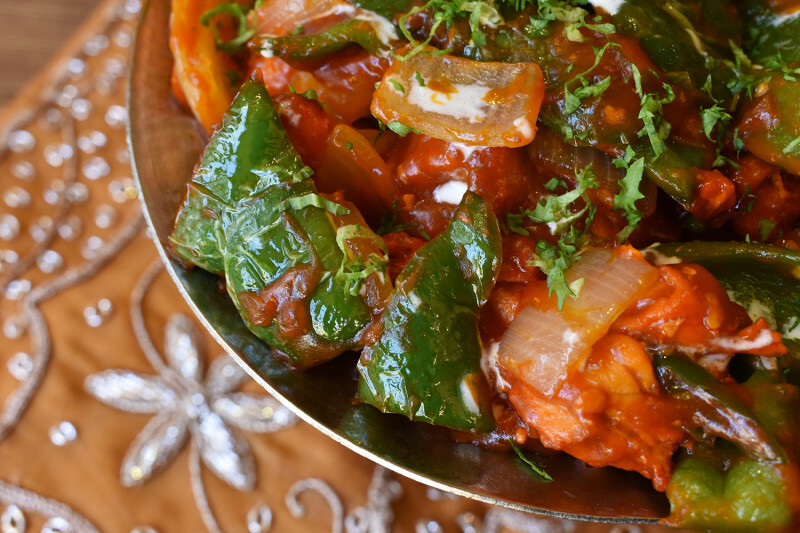 Punjabi style, chicken cooked in a traditional Indian cooking bowl.Is cooked with sliced bell peppers, tomatoes and whole coriander seeds. Pan fried shredded chicken with onions and chili sauce. 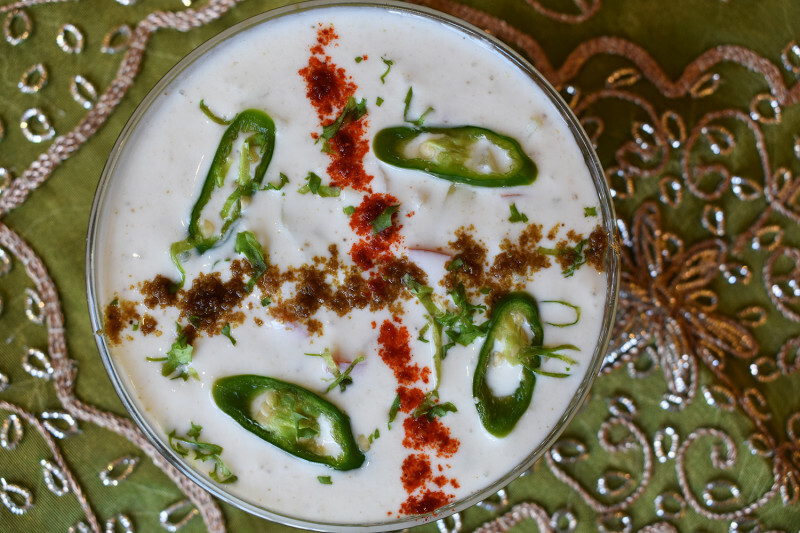 Prawns cooked in an onion-coconut sauce flavoured with caraway seeds. Prawns and a good deal of chooped garlic cooked together with carrots and peas, cooked and served in a single serveing cast iron pot. 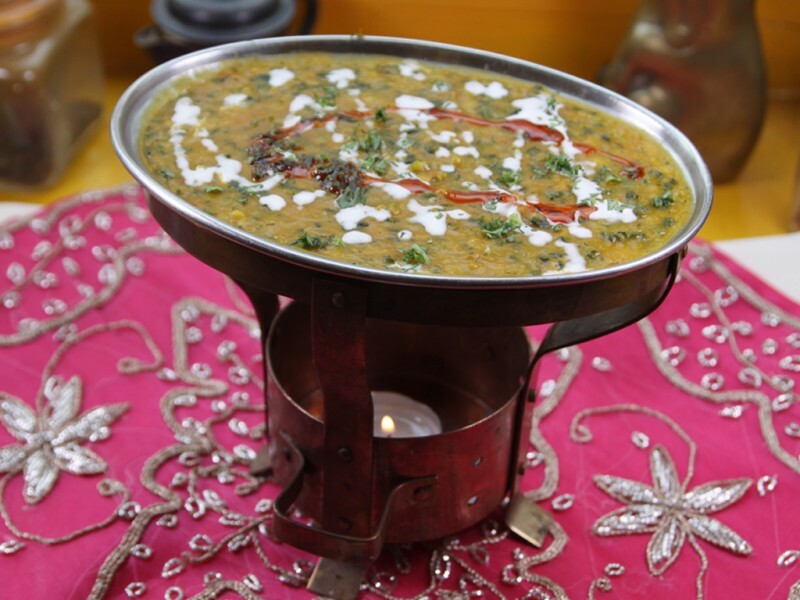 Diced mushroom, sweet corn and spinach,sauteed with spices and served with fresh cream. 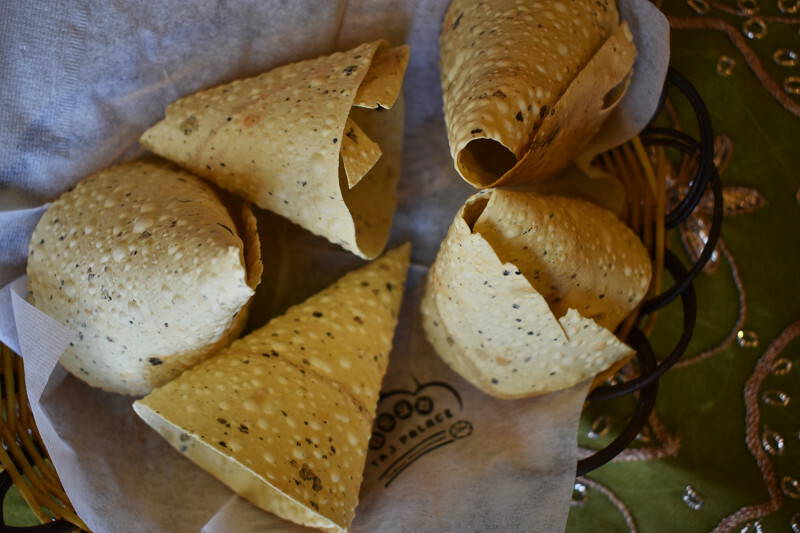 Potato cubes cooked in creamy spinach seasoned with garlic, whole red chilis and mustard seeds. 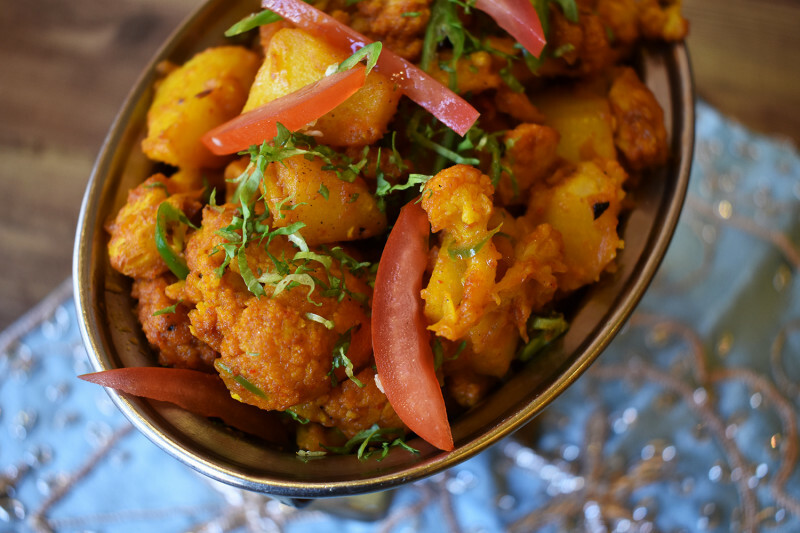 Fried potatoes cooked with green beans,spices and herbs. 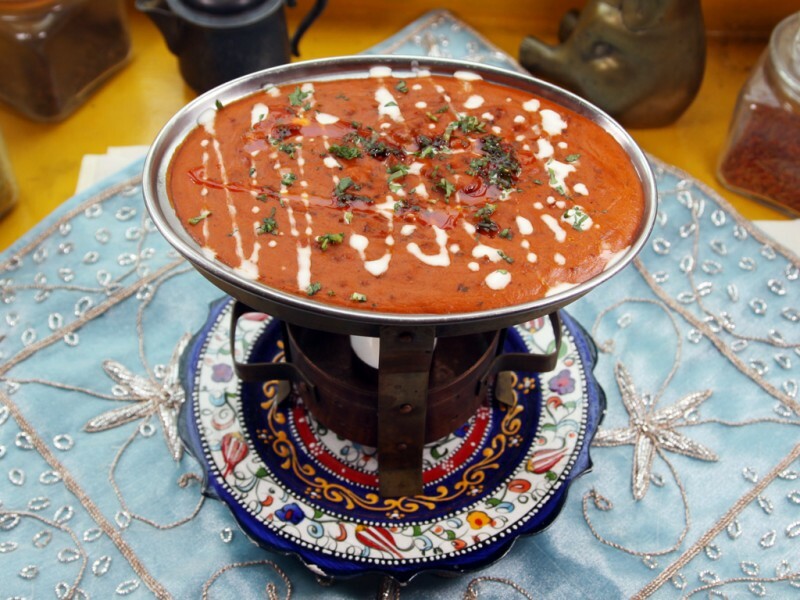 Paneer simmered in mild tomato cream sauce. 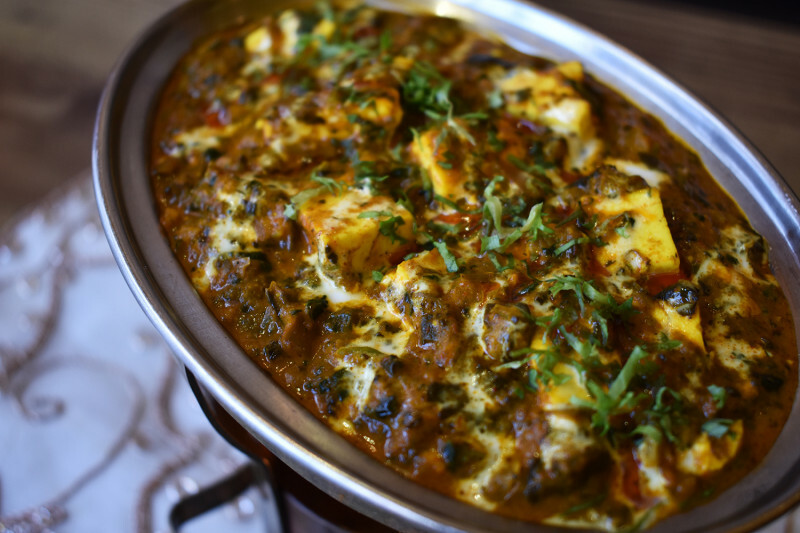 North Indian Style, Paneer cooked in a fresh coriander leaves and on ion sauce flavored with whole coriander seeds. 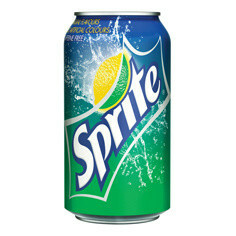 This dish has a very rich flavor. 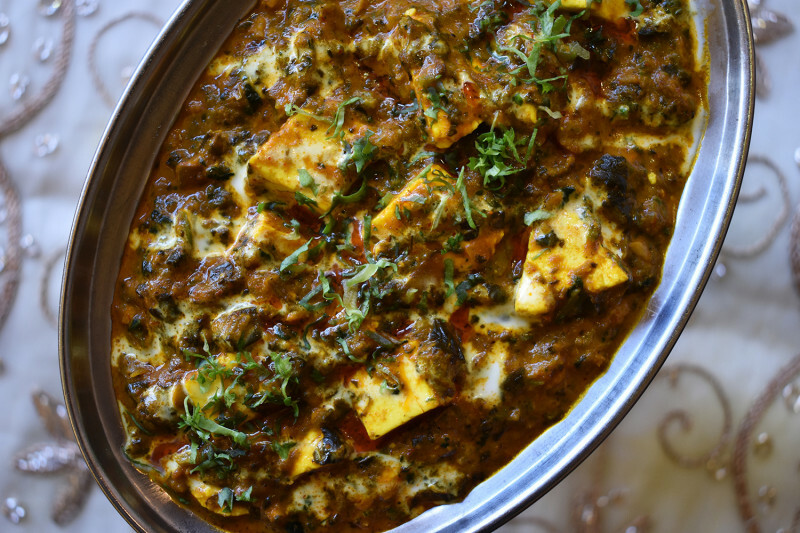 Paneer cooked in creamy spinach seasoned with garlic,whole red chilis and mustard seeds. 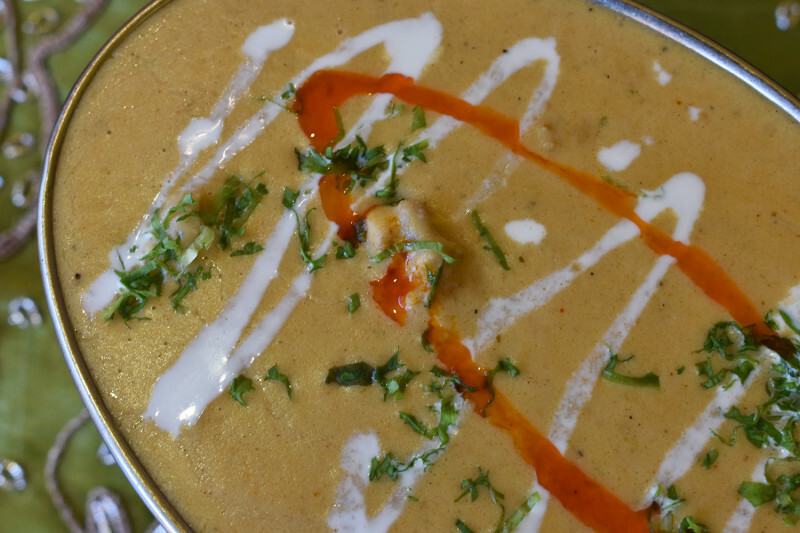 Paneer simmered in a mild cashew nut gravy and spices. 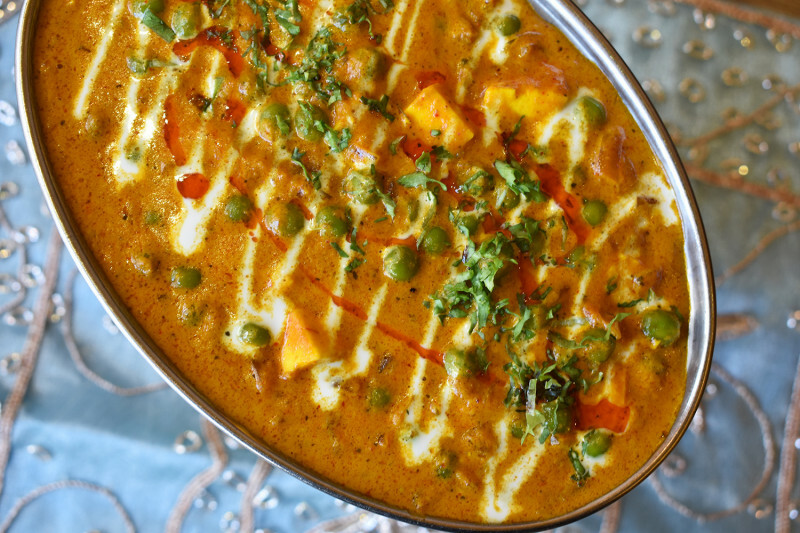 Paneer cooked with in a yellow chili powder and cardamom sauce. 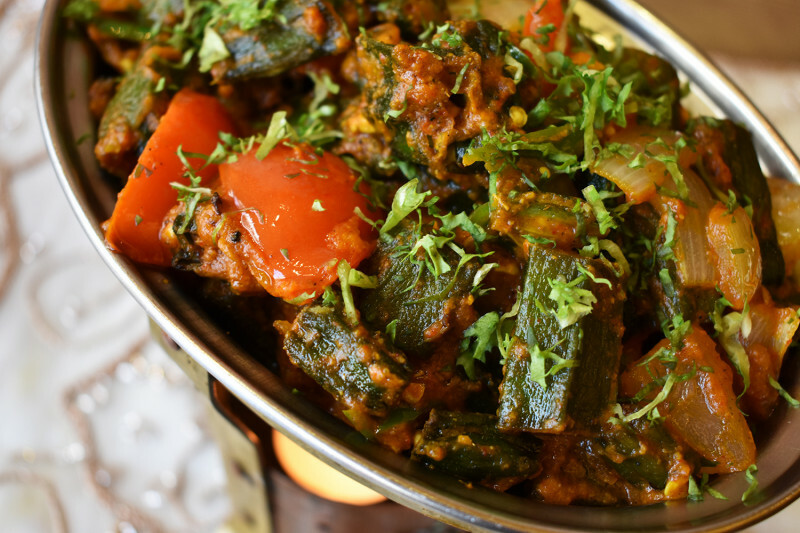 Stir-fried paneer with vegetables and garlic flavor cooked in with traditional balti style served in a single serving cast iron pot. Pan fried panner with paprika, onion and chili sauces. 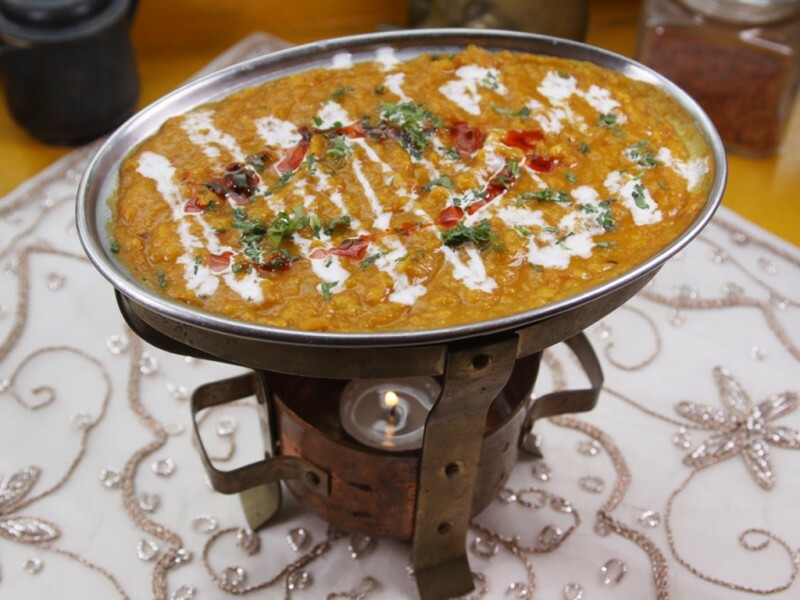 Black, yellow and red lentils simmered with kidney beans overnight on top of the tandoor oven, served in a butter-tomato sauce with fresh cream. 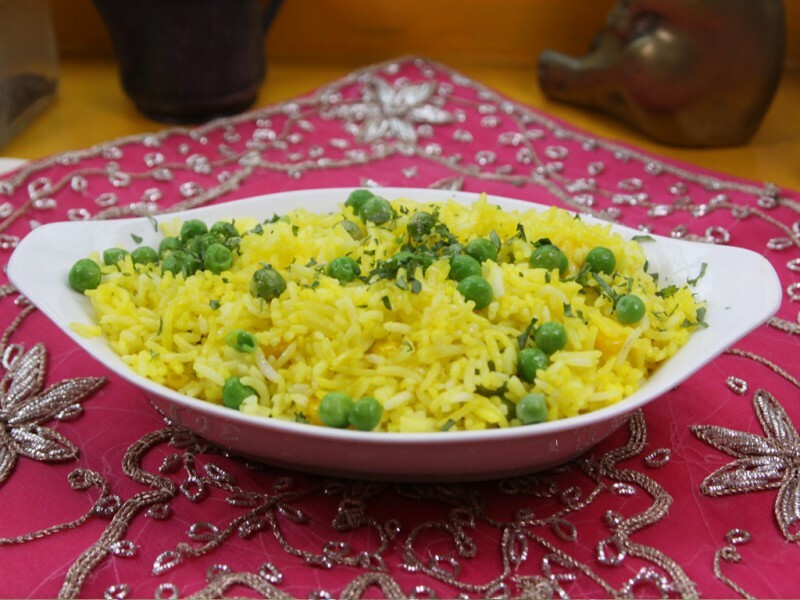 Yellow Lentils tempered with cumin. 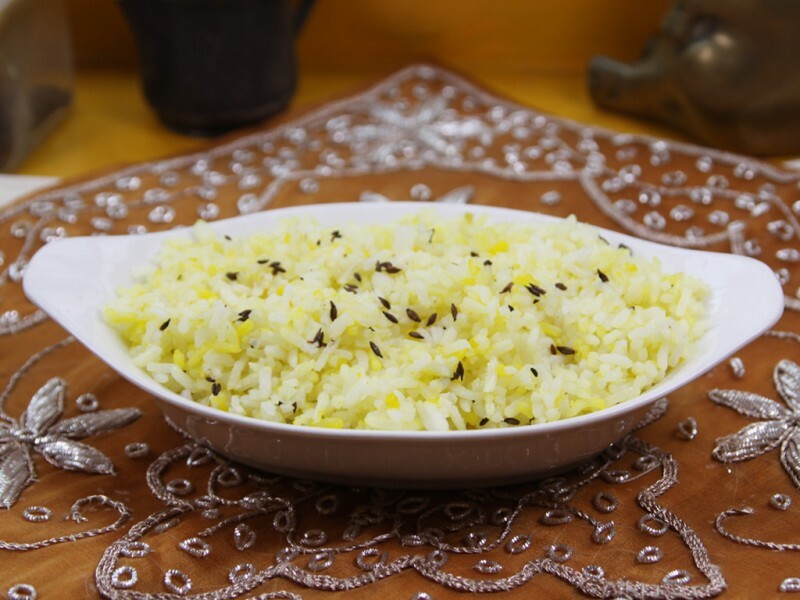 Aromatic Basmati rice cooked with herbs and spices. 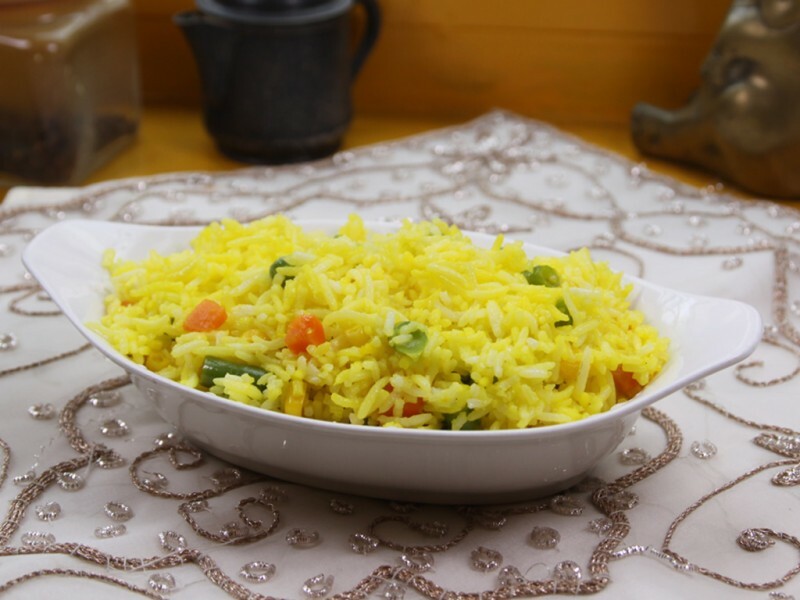 Aromatic Basmati Rice cooked with assorted seasonal vegetables, herbs and spices. 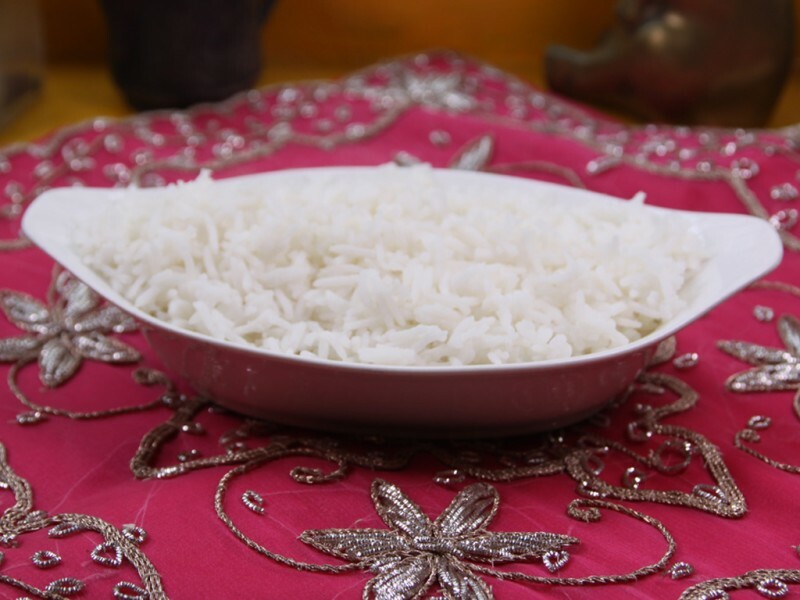 Aromatic Basmati Rice cooked with tender pieces of chicken, herbs and spices. 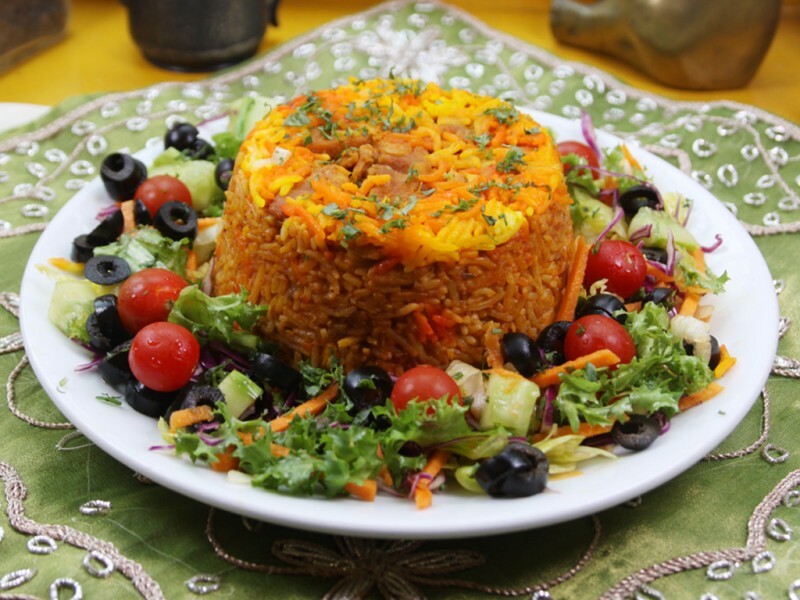 Aromatic Basmati Rice cooked with tender pieces of lamb, herbs and spices. 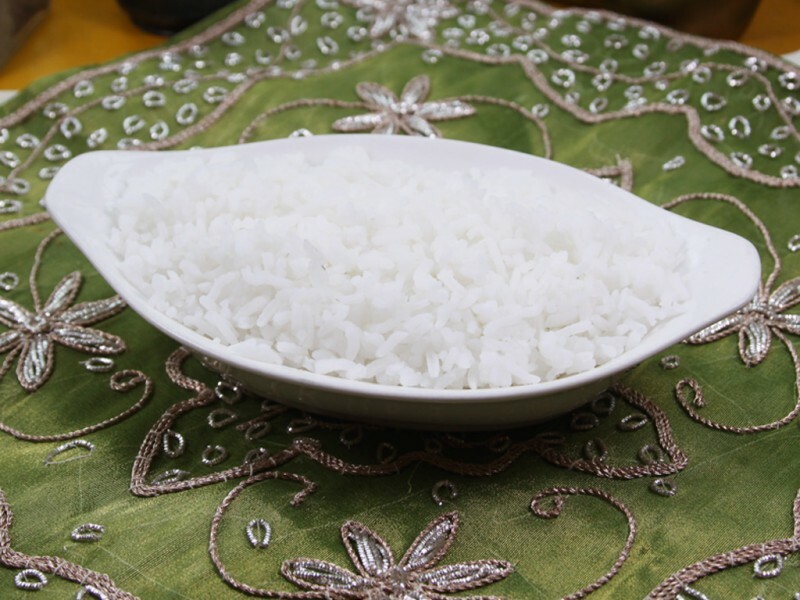 Aromatic Basmati Rice cooked with tender pieces of Shrimp, herbs and spices. 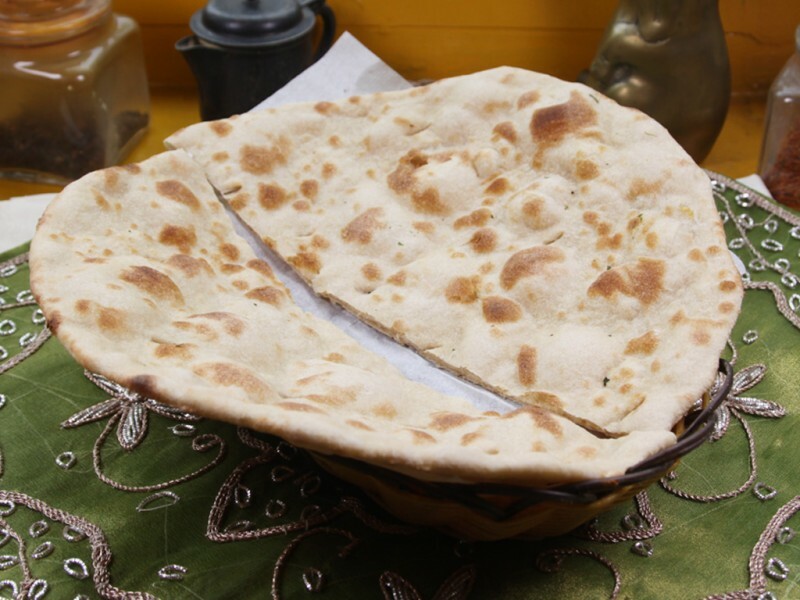 Naan stuffed with chopped onions and potatoes, ginger and green chilies. 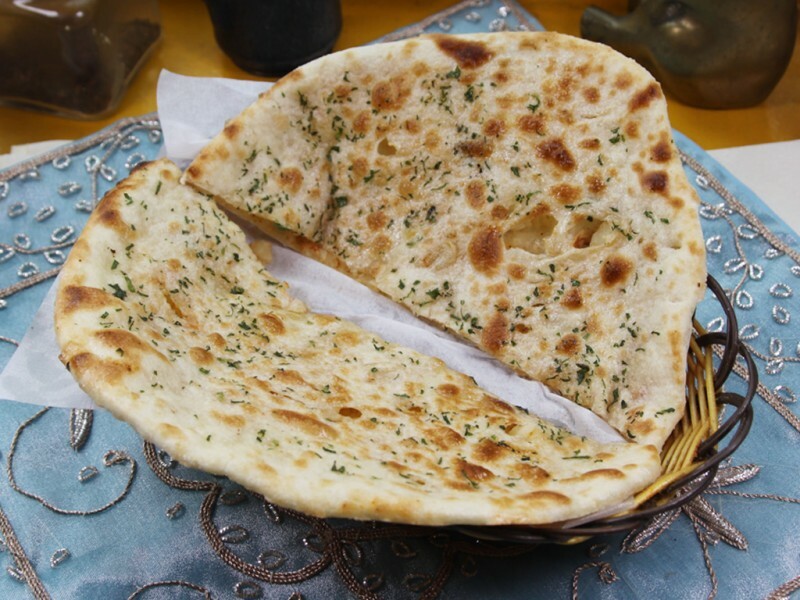 Naan Stuffed with cottage cheese, chopped coriander leaves, ginger and green chilies.